Slightly more than 2 years ago, I locked in my first stock with Super Group (S10). 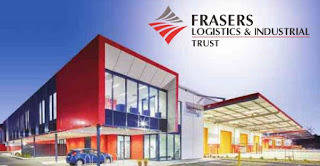 Last Friday, I've gotten my first IPO stock or REITS, Frasers Logistics & Industrial Trust (FLT). Even though it's only "minionly" 1 lot but I am pretty happy and excited about my maiden IPO stock and I will keep it for its sentimental value. If you want to find out more of the FLT's balloting result, you can check out Investment Moat's coverage here. FLT will start trading from tomorrow (21st June 2016) onward. I am not sure how it will go but I am pretty sure will keep it for as long as possible. What is your first IPO stock (if any) and are you still keeping it?